Dining on Eleuthera consists of a handful of casual fine dining restaurants, along with a variety of small locally owned restaurants, take-a-ways and roadside stands serving a Bahamian style food, BBQ or fresh conch salad. 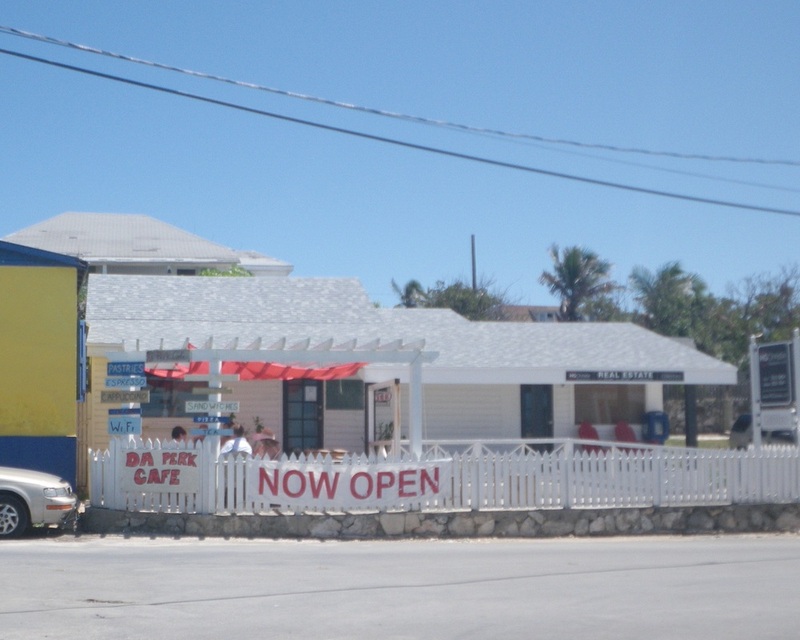 Many of the small restaurants on Eleuthera are called “take-a-ways”. This does not necessarily mean that they exclusively serve takeout food or that they are in any way fast food. Most have dine-in seating areas but some just also serve meals to go. Eating out on Eleuthera is not a quick venture, you are on “island time”, so do not go to a restaurant starving because in most cases it will be a while till you get your food. When you do go out take your time, have a drink and enjoy the beautiful surroundings while you wait. There are some wonderful restaurants on Eleuthera so take a look at our restaurant list and see what suits you. Most of the restaurants have ever changing hours and they are also not always open when you expect them to be, so if you really want to eat somewhere make sure you call ahead to see if they are open. Reservations are highly recommended for all of the finer dining restaurants. A&R Snack and Ice Cream Parlor: 242-335-1100. On Bay Street in Lower Bogue. Serves Daiquiris, milkshakes and sodas. Seven Seas Takeaway Restaurant: 242-335-1011. On East Street on the right hand side just as you enter Lower Bogue. 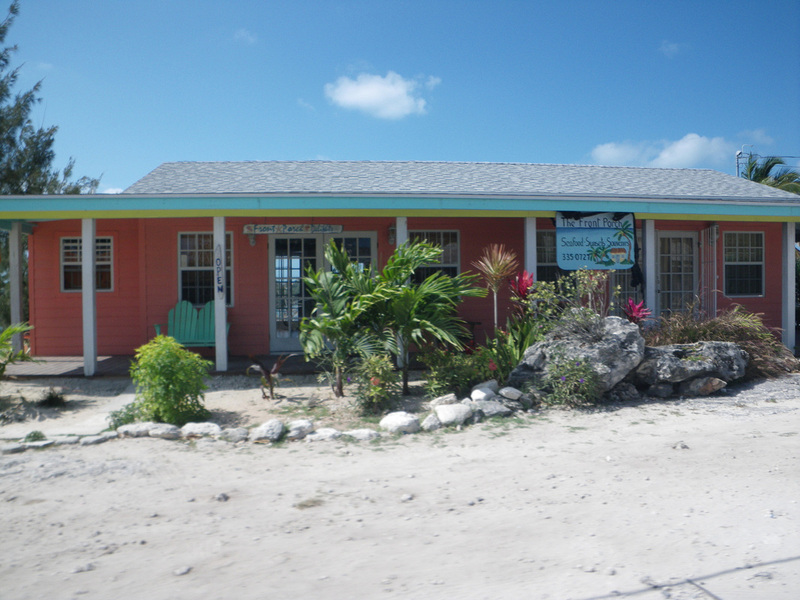 Casual dining restaurant and bar with good local Bahamian food, serves dinner and sandwiches. Ocean Tally: 242-359-77676. Restaurant, Bar and Cottages. Fine Dining with a focus on organic produce from local farmers and fresh seafood. Glass Window Bar and Grill: 242-422-5277. Located just north of the Glass Window Bridge, Eleuthera, Bahamas. Open 7 days a week, 8am-10pm. Happy Hour daily 3-5pm. Fish Fry Sundays 2pm until... Gorgeous views and great breezes, offering a Bahamian and American menu. Daddy Joe's Sandbar: 242-335-5688. Winter Hours: Sun: 8am-2am; Mon 8am-4pm, Tues & Thu 8am-3pm & 6pm-10pm; Fri & Sat 8am -12am, closed Wed. Happy Hour from 6-9pm Fri and Sat. Summer Hours (till Oct): Sun 8am-2am; Mon, Tues, Th 11am-3pm and 6pm to 10pm; Fri and Sat 8am - 11pm, closed Wed. Closed for the Month of September. 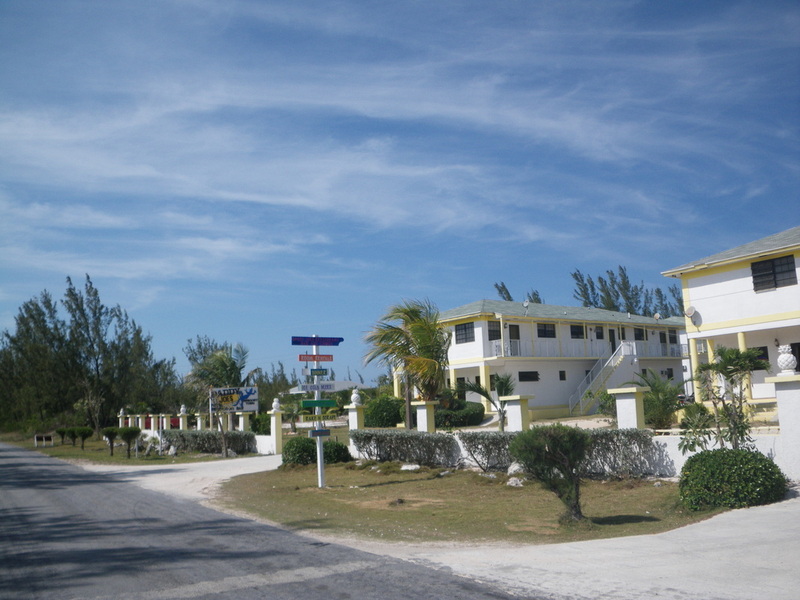 Local bar and restaurant in a white & yellow building, across from the highway from Gaulding Cay beach, and about a mile south of Glass Window Bridge. They serve lunch and dinner. The Cove Bar & Restaurant: 1-888-776-3901, 242-335-5142, info@thecoveeleuthera.com. Located at The Cove Resort, about a mile and half north of Gregory Town. Brand new bar and restaurant and the newly renovated Cove Resort. Grand re-opening in March 2013. Reservations required. The Laughing Lizard Cafe: 242-470-6992. Open Monday through Saturday, 11 am to 3 pm. Located about mile north of Gregory Town on the right side of Queens Highway (heading north). They serve soup, salad, Panini, wraps, smoothies, beer and wine. Free WI-Fi and pizza and a movie on Saturday nights. They have recently opened a home and garden store next door. Ida's Delights and Take Away: A Little Ice Cream shop and take-a-way in Gregory Town, serving breakfast, lunch and dinner. Monica’s Dis and Dat: 242-335-5664. Open from 10am to 6pm M-Sat, sometimes Sunday. A little cafe in Gregory Town serving burgers, fries, and sandwiches push fresh bread and pastries. Elvina's Bar & Restaurant: 242-335-5032. A well known local bar and restaurant located on Queen's Highway just south of Gregory Town. Known as the place to go for live music and local atmosphere. Tuesday’s and Friday’s are an open mike jam night that attracts wonderful local talent. Front Porch Delights, Bar & Grill: 242-335-0727, click for their Facebook page. Open daily (by reservation only) from 11am-3pm and 5-9pm. Restaurant & Gift Shop located along Queens Highway on the waterfront in Hatchet Bay. Driftwood bar on deck with great harbor views. Food is made to order and the menu changes daily. We had hands down the best meal we have ever had on Eleuthera here. The food is fantastic!!! Reservations required. Twin Brothers, Seafood & Steak House: 242-335-0730. Located in Hatchet bay, turn off the Queens Highway and follow the main road into Hatchet bay for a short distance (about a tenth of a mile). There will be a sign on the left for Twin Brothers and Bay Inn estates. Newer restaurant that opened in 2011. Serves lunch and dinner with great outdoor seating and “world famous daiquiris”. Features live entertainment on the weekends. Water's Edge Internet Café: 242-335-0679. Open Monday through Friday, open 9am to 6pm and till 2pm on Sat (island time). Internet cafe and small electronics store in a two story pink building right on the waterfront in Hatchet Bay. Very affordable and well known for their homemade burgers. They also have WI-Fi and computers available to check your email. Rainbow Inn Restaurant and Bar: 242-335-0294 click for their website. Located off the Queens Highway on the north end of Rainbow Bay. Open Monday through Saturday. Serving breakfast, lunch (11:30am-1:30pm) and dinner (starts at 5pm), featuring wood fired pizza (Mondays), steak, fresh caught local seafood and fresh organic vegetables grown on site. They have live entertainment four nights a week. Excellent food and great customer service. Reservations recommended. DJ’s Take-A-Way: 242-335-6566. Call ahead for hours. Right next to the Big Rock General Store between Rainbow Bay and James Cistern. Serves Bahamian style food and sandwiches. Stubbs BBQ: 242-335-6111. Brenda & Billy Stubbs BBQ or "Under the Tamarind Tree". They set up Fridays and Saturdays (weather permitting) 11:00 am - 3:00 pm in front of their house in James Cistern. You will see a BBQ sign on the Queens Highway. Get there early the food goes fast. They serve BBQ ribs, chicken, fish, pork chops, mutton, peas and rice, Bahamian macaroni & cheese, potato salad, coleslaw, pop, desserts, etc. We have tried the ribs and chicken and both are excellent!! Lee’s Café: 242-335-6444. Open 7 a.m. to 7 p.m. On the right about 100 yards north of the pier in James Cistern (small pink building). 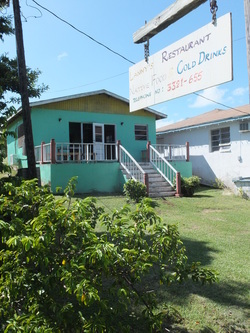 They have excellent fried chicken, snapper and rice and beans; try the stew fish for breakfast on Saturday mornings. Dine in and take away. Kel-D's Bar & Grill: 242-335-6061. Call ahead for hours. 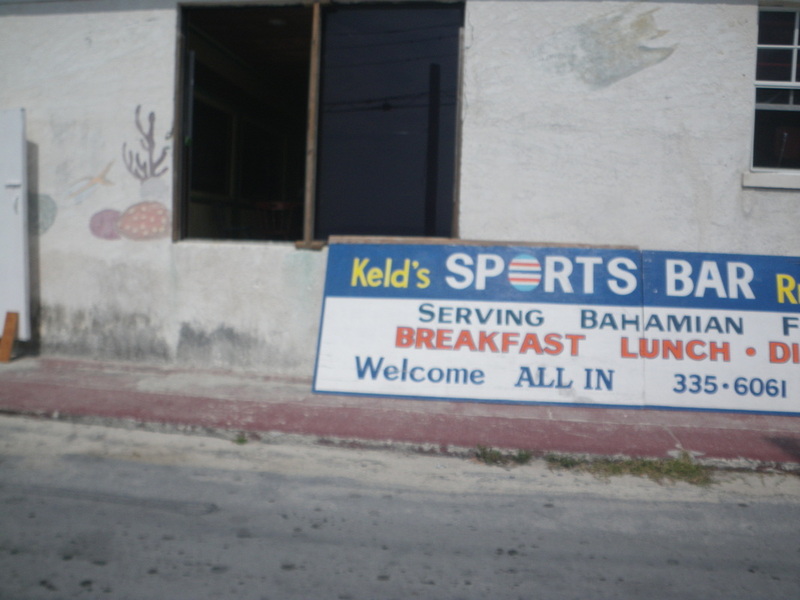 Friendly local Bar & Grill serving cold beer and Bahamian food. Across the street from the pier in James Cistern. Look for the building with fish, and corals painted on the wall by the front door. Cocodimama Restaurant: 242-332-3150. Currently only available for private party's. The Deck Beach Grill: 242-535-8283 or 242-577-4339. Scenic beach bar and restaurant off Knowles drive. Serving up Marks famous burgers and much more. Opens at 2pm on Mondays for drinks and 11am the rest of the week, with lunch service starting at noon. 1648 Bar and Grill: 242-669-5542. Located in the new French Leave Resort, with a fantastic waterfront location at the northern end of Governors Harbour. They serve lunch and dinner. Pascals at the Sky Beach Club: 242-332-3422. A bar and fine dining restaurant at the Sky Beach Club Resort. 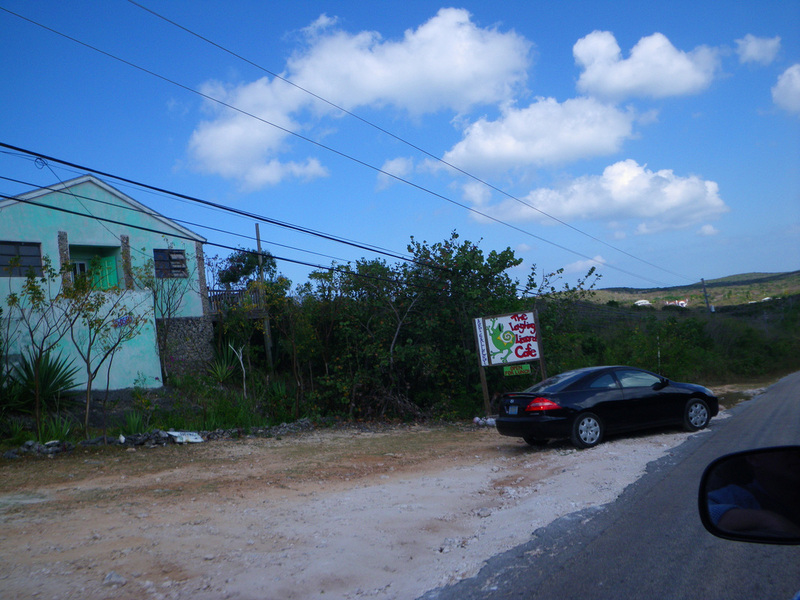 Look for the sky beach club sign on Queens Highway between GHB and the Governor's Harbour settlement. Please double check to make sure they are open before you go. Their posted hours are lunch from 11am-4pm Monday through Friday, brunch 10am-2pm Saturday and Sunday, and dinner from 6-9pm on Wednesday, Thursday and Saturdays. Sundays from 3-7pm when they have a barbecue and pool party. There is also an infinity pool bar with excellent ocean views, open to all bar and restaurant customers. Accept credit cards with a 3% fee. Buccaneer Club Restaurant: 242-332-2000. In Governor's Harbour, one block up Haynes Ave from the yellow Pyfrom's Liquor store. Serve breakfast, lunch & dinner seven days a week. They make excellent conch fritters and a tasty rum punch. Daily happy hour from 3-6pm with basic well drinks for $4 and fruity mixed drinks for $6. da' Perk Cafe and Coffee Shop: 242-332-2620. Open Monday-Sunday 7:30am-4pm. A great little cafe in "downtown" Governors Harbor between Pyfroms Liquor and the HG Christie Real Estate office. They have coffee, baked goods, sandwiches (breakfast and lunch), pizza, etc. They even have Wi-Fi so you can check your email and sip your coffee while enjoying their patio seating. Accepts Visa and MasterCard. 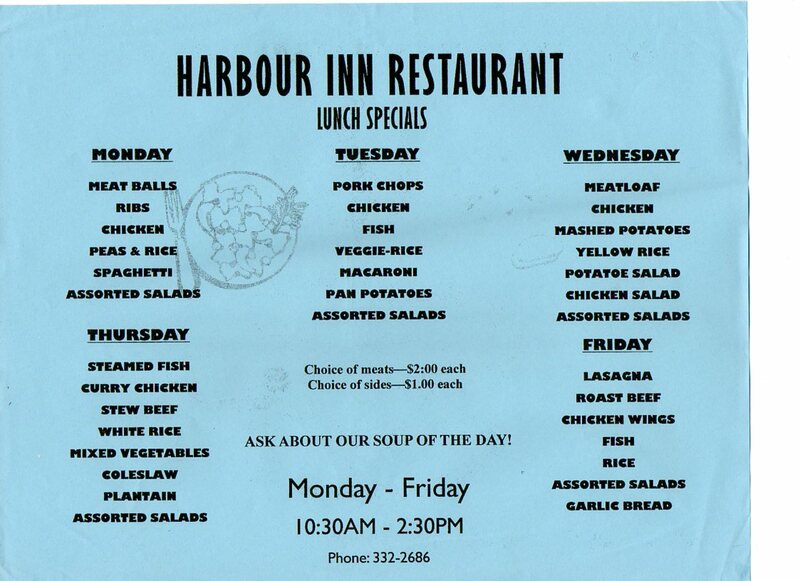 Harbour Inn: 242-332-2686. Open for lunch weekdays from 10:30am-2:30pm. On Cupids Cay just up the street from Ronnie’s on the harbor side, it’s a white building with green trim and porch railings. One of our favorite hidden treasures, frequented by the locals, but underutilized by visitors. Different specials each day, all served buffet style, eat in or take-a-way, the meat dishes are $2 for a hearty scoop and sides are $1, the best deal around. This a very popular lunch spot with the locals so get there early or the food will be gone. They also offer excellent catering services. Waterfront Café and Ice Cream Shop: 242-332-3701. Another great lunch spot on Cupids Cay right next to the shipping dock. They serve tasty reasonably priced hamburgers and fries, grouper sandwiches, hoagies, chicken wings, ice cream by the scoop, slushies and more. Friday Night Fish Fry: Every Friday at 6pm (island time) since 1996 (canceled only by the occasional hurricane or special event). A great place to meet locals and visitors. 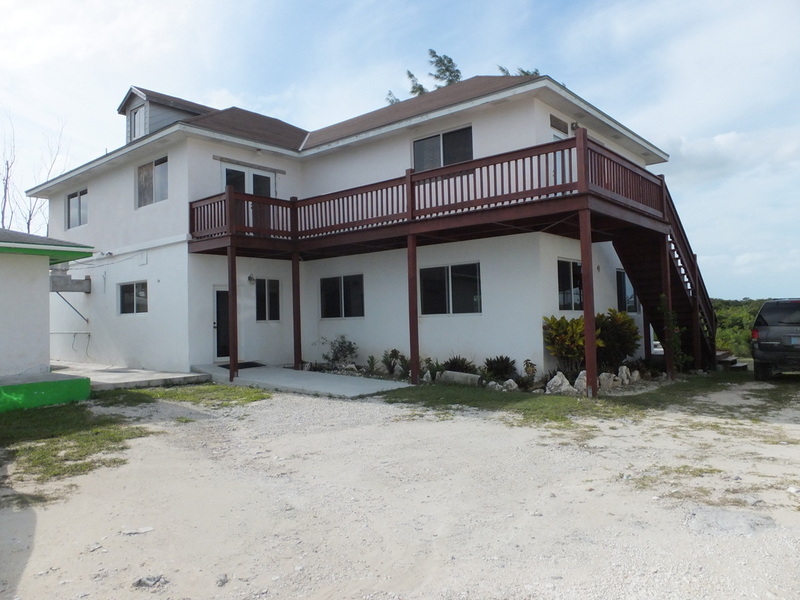 Located on the waterfront between Governors Harbour and Cupids Cay. They have music set up in the street and a pavilion by the beach serving food and drinks. On rare occasions the high school junkanoo band will show up. They serve conch salad and great Bahamian BBQ chicken, pork or fried fish with potato salad, coleslaw, or rice and beans. There is a full bar and if you decide to try one of the world famous “Rum Bubbas” beware they are stronger than you can imagine and one is more than enough. The Friday Night Fish Fry is organized by Governor's Harbour Development Association, a volunteer run non-profit organization. Proceeds go back into the community to support island clean-up efforts and to help care for the elderly. Pammy’s: 242-332-2843. 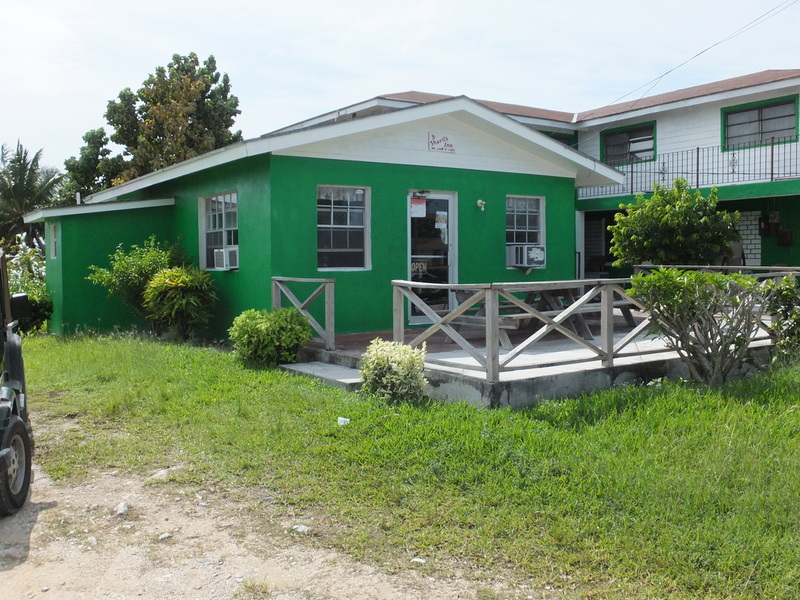 Located in the heart of Governors Harbour, along Queens Highway, right by Burrows Grocery. 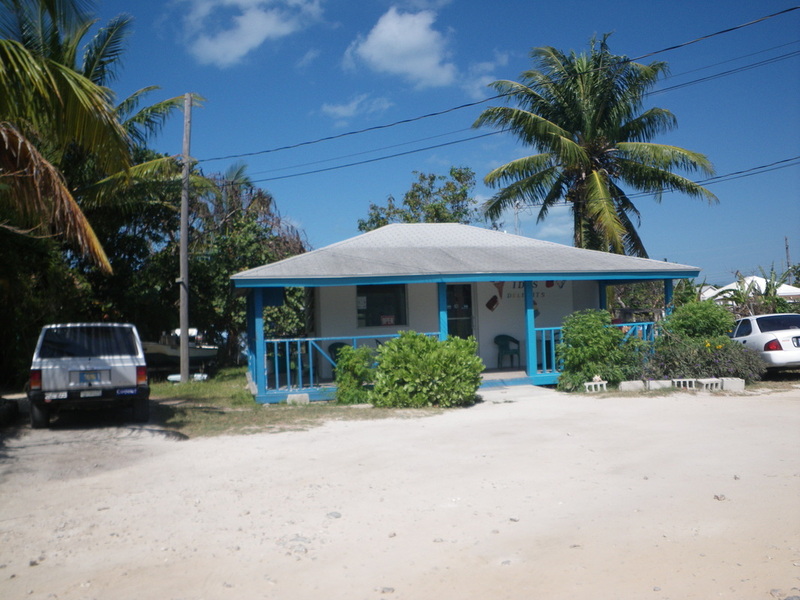 They serve native Bahamian dishes; dine in or take-a-way for breakfast and lunch. New lunch specials every day, very affordable and popular with the locals. If you call ahead they can also prepare “by the pot” take-a-way orders for large groups. The Blue Room: 242-332-2736. Open Monday through Saturday from 8am to 9pm. A hidden treasure in the heart of Governors Harbour. Located in a blue building down the street from Pammy’s, ask a local for directions. They are said to have the best fried chicken on the island, plus ribs, conch and fish entrees all served with peas and rice or Bahamian macaroni and cheese. A great place to get a take a way lunch; just call ahead if you’re in a hurry. They do not serve alcohol, but you can bring your own if you want to dine in. My Place: 242-332-3477. In Governor's Harbour next to Burrows grocery store. Bar and cafe serving Bahamian dishes, for lunch, dinner and take-away. Governors Harbour Bakery: 242-332-2071. Tough to find, if you have trouble go into Burrows and ask for directions. As you are heading south take the first right immediately after Burrows, then take your first left, then another right and go down a half block and the Bakery will be on the right. It is a busy place so keep your fingers crossed you get there at the right time (we have not figured out when exactly that is yet). Besides a variety of fresh baked bread and rolls they also make breakfast sandwiches, melt in your mouth donuts, danishes, cinnamon rolls, hot dogs and savory meat patties (similar to Jamaican meat pies). Sunset Inn: 242-332-2487. On Queens Highway about a half mile south of Governors Harbour on the sea side. 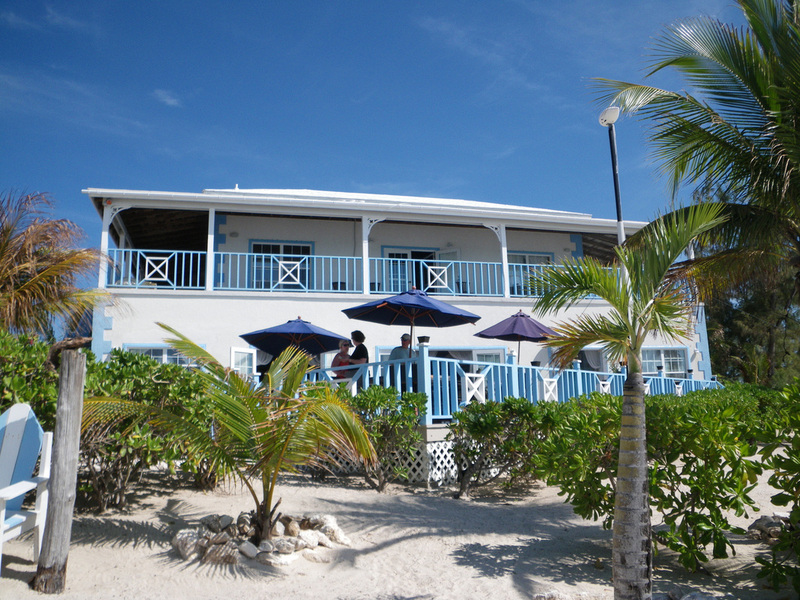 They serve delicious local Bahamian fare with an amazing waterfront view. It's the perfect place to enjoy a sunset meal. The grouper is excellent; especially with an ice cold beer or a tasty rum punch. Open every day except Thursday, for breakfast, lunch and dinner, but call ahead to be sure. As with most of the Caribbean waterfront if there is no breeze so bring lots of bug spray if you plan on eating outside during sunset. ​SADLY THEY ARE NOW CLOSED! Tippy's: 242-332-3331. Open every day except Monday, serving lunch from 12:30 to 2:30 and dinner from 6pm to 10pm, with live music on the weekends. Tippy’s is part of the Pineapple Fields resort complex located on Banks road halfway between Governors Harbour and North Palmetto Point. Tippy’s is a fine dining restaurant serving lunch and dinner in an open air setting with spectacular Atlantic oceanfront views. They have great food and tasty signature cocktails. For the 2013 season they have live music on Saturdays. Dinner reservations required! Lanny's Restaurant and Sporting Lounge: 242-332-1655. Open 7 days a week, 11am to 9pm M-F, 11am till... on Sat and 2pm to 9pm Sundays. Located in North Palmetto Point on the North Shore road. 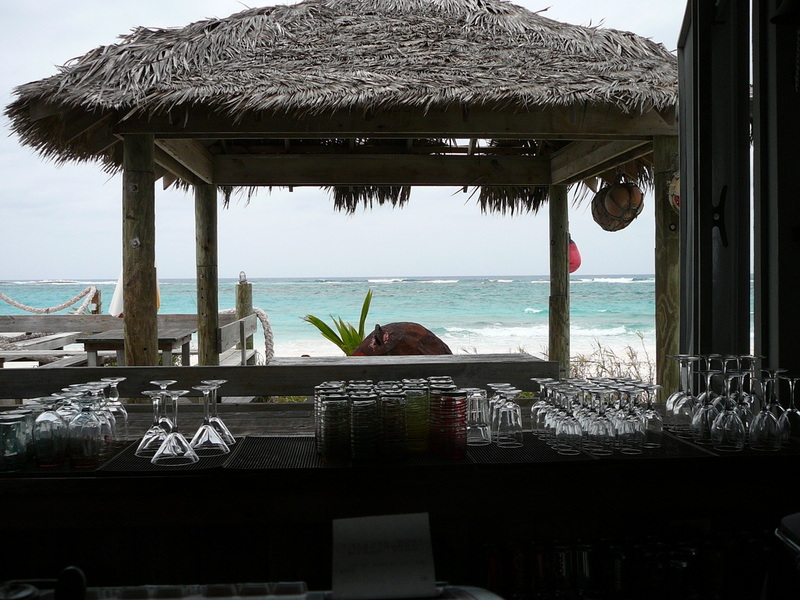 A bar and restaurant serving traditional Bahamian fare along with burgers, wings, etc. at a good price. Dine in, take-a-way or delivery in the North Palmetto Point area. Bahamian BBQ every Saturday with your choice of pork chops, chicken or ribs with peas and rice or mac and cheese. Breakfast is available by appointment only. Free Wi-Fi. Unique Village: 242-332-1830, uniquevillageresort@gmail.com. Open breakfast, lunch and dinner 7 days a week from 7:30am to 3pm and 6pm to 10pm. 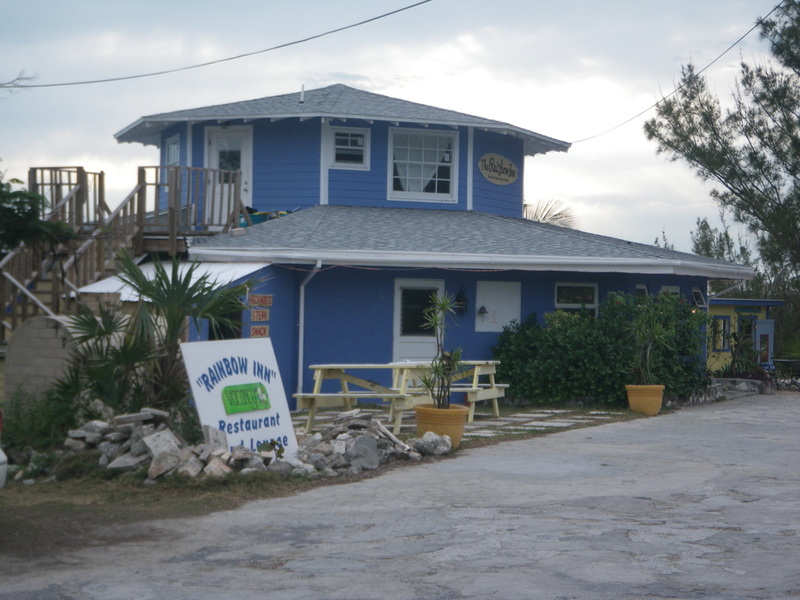 A bar, restaurant and small resort off the old Banks Road a little over a half mile south of North Palmetto Point. On Tuesday nights from 7-10pm they have live music by FISHEAD and featuring a special dinner menu. Reservations recommended! They hired a new chef and revamped their menu in early 2012. Sweet Dreams: 242-669-5142. New bar, restaurant and take-a-way in North Palmetto Point. Opened March 2013. They are said to have great Bahamian food at very reasonable prices. Country Cafe: 242-332-0100. Recently re-opened across the street from the Corner Bar in North Palmetto Point. Pizza, ice cream and game room. 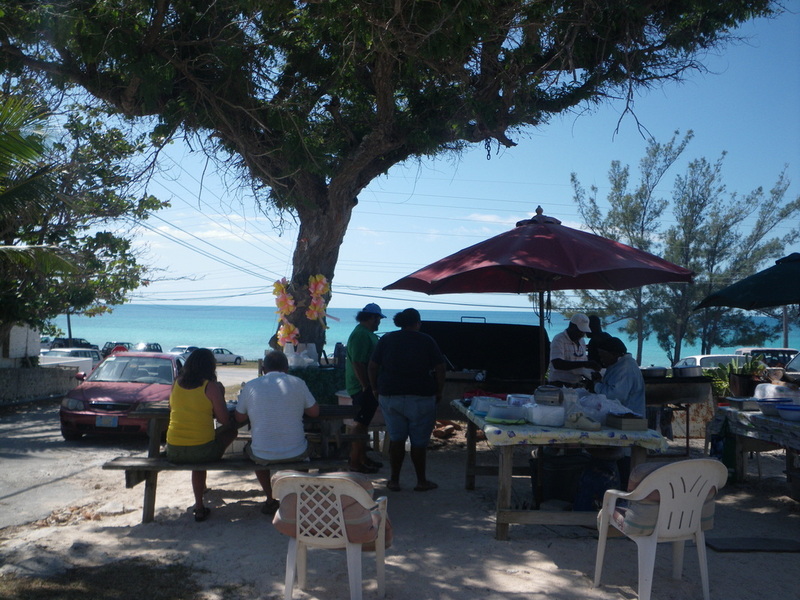 3J's Conch Stand and Take-A Way: 242-332-1646 or 242-470-2673, 3JsTakeAway@gmail.com. Open M-Th: 9am - 5pm, F: 9am-12am, Sat 12pm-4pm. Located just before the Palmetto Point intersection on the Queens Highway. 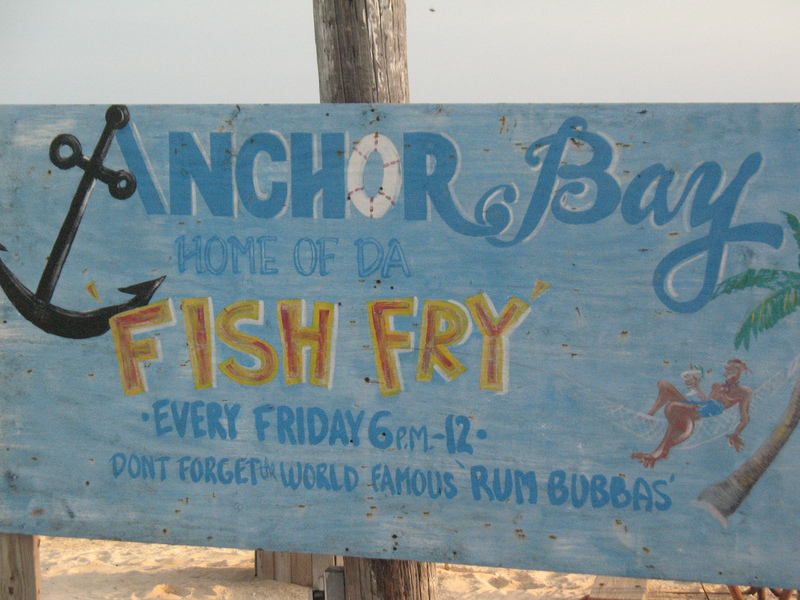 Traditional Bahamian take-a-way along with daily specials and BBQ of Fridays. Tuesday - Baked Spaghetti Served with Green Salad and Garlic Roll. Wednesday - Steam Pork Chop, Peas and Rice, Macaroni. Thursday - Curry Chicken, White Rice, Macaroni, Potato Salad, Coleslaw. Friday - Baked Chicken, Peas and Rice, Macaroni. Mate and Jenny’s: 242-3332-1504. They are open Wednesday through Sunday for lunch from 11am to 3pm and for dinner from 5:30pm to 9pm. Take a right (heading west toward the Caribbean) at the Palmetto Point intersection; you will see Mate and Jenny’s about 70 yards down on the right hand side. A Great little local bar and restaurant with a jukebox and pool table. They serve traditional Bahamian food and pizza, and are particularly well known for their conch pizza. Fishbone Beach Bar and Grill: 242-826-7550. Located in on the water in Savannah Sound. Closed on Mondays. Click for Menu. Barbie’s Snacks and Notions: 242-334-4028. On Lord Street in Tarpum Bay just, about a block up from the bay, ask for directions. 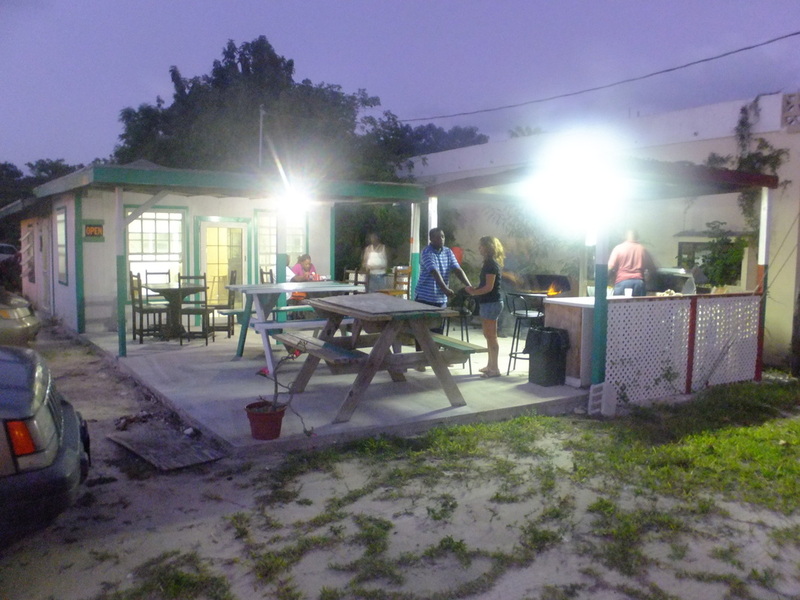 A visitor and local favorite, serving delicious Bahamian style food, including conch, BBQ and macaroni and cheese. They also have coolers with treats to go including Guava Duff. They serve lunch and dinner and take-a-way. Berthas Go Go Ribs: 242-334-4130. Call ahead for hours. On your way up the hill as you are leaving Tarpum bay toward Rock Sound, on the left past Bert’s Best. They have some of the best ribs and chicken dinners on the Island along with burgers and hot dogs. Shantzi’s: 242-3354-4505. In Tarpum bay on the left hand side at the top of the hill as you are heading south toward Rock Sound. New (summer 2011) bar and restaurant, with good prices and strong drinks. They appeal to a slightly younger crowd with pop and hip hop music and karaoke on Thursday nights. 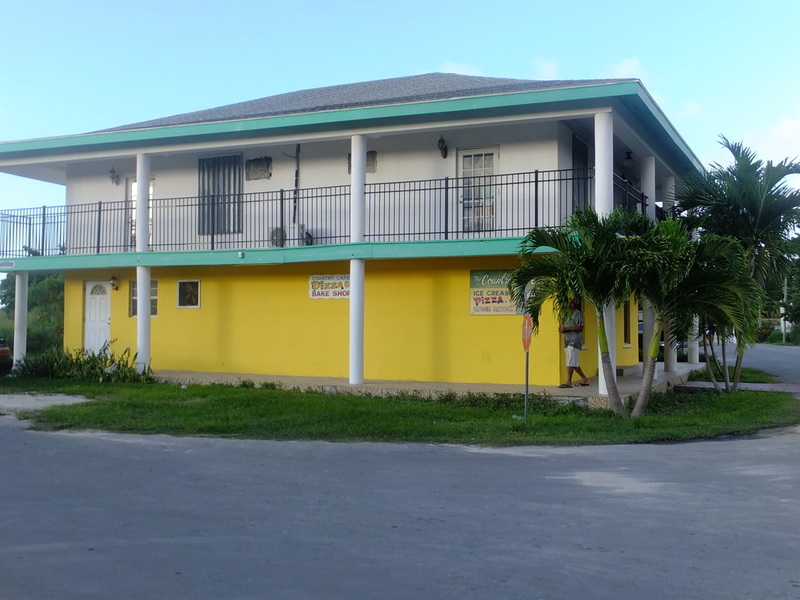 Papa George’s Pizza and Internet Café: 242-332-4076. In Tarpum bay on the top of Bernard Hill. They serve New York style pizza with a Bahamian twist including conch pizza, lobster pizza and seafood pizza. They also have computers so you can check your email. Dine in, take out or delivery, call ahead and allow 40min to an hour for them to prepare you pizza. Free delivery to Tarpum and Winding bay. $2 for every 5 miles for delivery to Savannah Sound, Windermere Island, Rock Sound and Cotton Bay. Rock Sound Club (Lisa's Tea Room and Lounge): 242-334-2700. 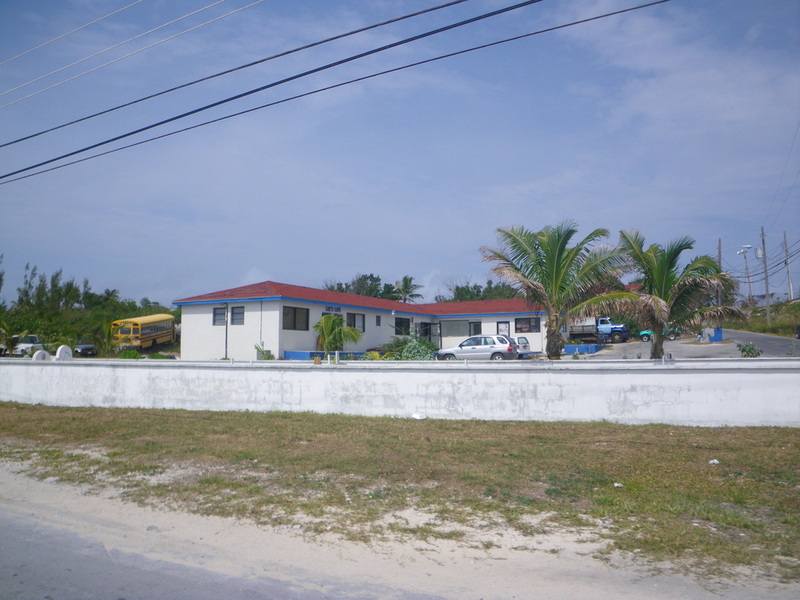 A renovated old club located about halfway between Tarpum Bay and Rock sound. You will see the sign and the pool on the left hand side as you are driving south. The recently updated the restaurant and re-opened it as Lisa's tea room an lounge. They are open daily for breakfast, lunch and dinner. We have heard excellent things about the new chef. Frigate's Bar and Grill (formerly Wild Orchids and Palscal’s) 242-334-2778. Waterfront restaurant and Tiki Bar located about 200 yards south of the Market Place shopping center. Sammy’s: 242-334-2121. Open for breakfast, lunch and dinner daily from 8am to 10pm. In Rock Sound on Alburys Lane, near St. Ann’s Catholic Church. Good affordable Bahamian and American food, including hamburgers, grouper or conch burgers, conch fritters, conch chowder, etc. 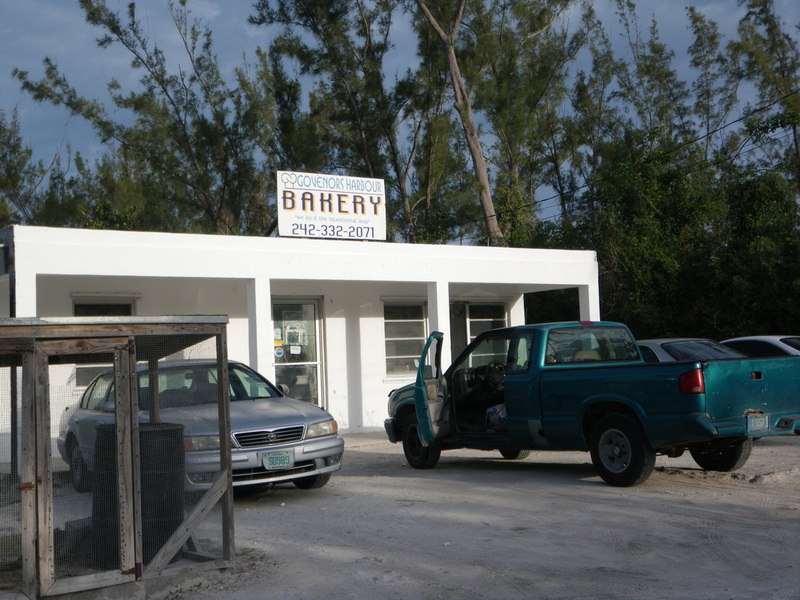 The Haven Bakery and Restaurant: 242-322-2155. Call for hours. On the southern end of Rock Sound, turn left onto Fish st. (toward the Blue Hole), it is on the second road to the left. The building is a little run down but, they have great food and desserts. Northside Inn and Restaurant: 242-334-2573. Call ahead for hours. Located on the Atlantic side of Rock Sound. Go toward the southern end of Rock Sound and turn left off the Queens Highway onto Fish st. You will see a small Bahamas sign for the Rock Sound Ocean Hole. Keep going straight on Fish st. for about a mile and a half until you reach a T in the road. Take a left at the T and keep going another 0.35 miles, and take your 2nd right. The inn is right on a spectacular Atlantic beach. There is a simple little bar/restaurant with a sand floor that serves lunch and dinner. The owner Rosie will tell you what’s fresh that day and cook you up something special. Ship to Shore (Wemyss Bight): 242-334-0111. Local Bahamian fare. Sharil’s Restaurant (Deep Creek): 242-334-8111. Open from mid-day till 10pm. In Deep Creek, right where the road takes a 90 degree turn to the right. Call before you go and order your food if possible, because it will be a long wait. They are known for their cracked conch and grouper fingers. Pascal's at Cape Eleuthera: 242-334-8500. Open Tuesday through Sunday for Breakfast (8-10am), Lunch (11:30am-5:30pm) and Dinner (6-9pm). All words and images Copyright © EleutheraParadise 2018. All Rights Reserved. Any use without written permission is prohibited. The locations featured in this website are purely our interpretations of where we believe these locations are. We make no guarantee on any of the information provided on this website including legitimacy, rates or location of any of the rentals or establishments. You will need to contact the owners or proprietors to confirm rates, locations and hours.